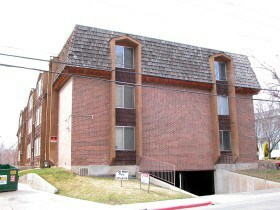 Hampton Court Condominiums are located at 659 N 700 E, Provo, UT 84606. The Hampton Court Park Condos in Provo Utah are BYU approved. Please check with BYU offcampus housing to check the current status. The Hampton Court Park Condos Provo Utah were built in 1984 and have 18 units. Underground Parking, Fire Sprinkler System, Hampton Court Condos Homeowners Association, located near BYU. The earliest sold condo posted to the Multiple Listing Service was sold in November 1997. This unit sold for $104,000. In 1999 another unit sold for $134,900. The prices moved up to $163,600 in 2004. The highest recorded price I can find on the MLS was a sale for $170,000. This condo sold in 2006. 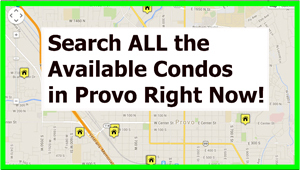 The most recent sales for the Hampton Court Park Condos Provo Utah have been selling for between $160-$165k. Prices fluctuate on condos in Provo. Please call Paul Teasdale to get the latest values on the Hampton Court Park Condos Provo Utah. Are You Thinking of Selling a Hampton Court Park Condos? If you are thinking of selling a Hampton Court Condo contact Paul Teasdale. Paul has been selling condos around BYU since 1995. Paul will give you a FREE Comparative Market Analysis on your condos value. Are You Thinking of Buying a Hampton Court Park Condos? Contact Team Teasdale Realty if you are thinking of buying a condo in Provo Utah. The Realtors at Team Teasdale Realty are experienced in helping buyers buy condos in the Provo area. We can set up a tour of condos for you to see.